Dr. Kirk Potter is a board certified general surgeon and has completed a 2 year fellowship in plastic and reconstructive surgery. In addition, Dr. Potter has also had extensive training in hand surgery. Dr. Potter offers a wide range of reconstructive and cosmetic procedures to help his patients improve their body contour and refresh their natural, youthful looking beauty. He believes in a holistic approach to medical care, combining proper nutrition with an individualized care plan for each patient. Tailoring each patient’s care plan with their specific goals in mind allows optimal outcome of mind and body. Dr. Potter performs plastic and reconstructive surgery for both men and women alike. 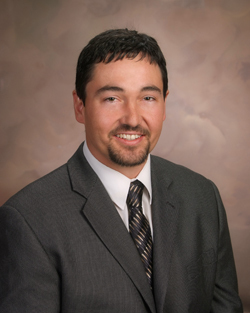 Dr. Potter was born in McCook, Nebraska and soon after moved to Colby, Kansas where he spent his childhood. His family then moved to Lewis, Kansas where he graduated from high school. Dr. Potter next moved to Topeka, Kansas where he attended Washburn University, graduating with dual degrees in Biology and Chemistry. He then went on to medical school at Kansas City University of Medicine and Biosciences, graduating in 2001. Dr. Potter and his family next traveled to the east coast for post-graduate training in general surgery, where he completed a 5 year general surgery residency program serving as chief resident. This was followed by a two year extensive training fellowship in plastic and reconstructive surgery where he also held the position of chief resident. Dr. Potter and his family returned to Kansas in 2008 to be closer to family and friends. In his free time Dr. Potter enjoys camping, fishing, and spending time in the outdoors.